We had a vision: harnessing our racing soul into a bodywork made for touring. It wasn’t that difficult: we only added comfort, load capacity and contained fuel consumption to MV’s natural speed and agility. Many have asked themselves the same question: A tourer produced by MV Agusta… what does touring have in common with race tracks? o be honest, very little, but only those who have spent a lifetime on the race tracks could create a bike able to swallow endless kilometres of tarmac in total comfort, without foregoing their racing soul or compromising on riding pleasure. 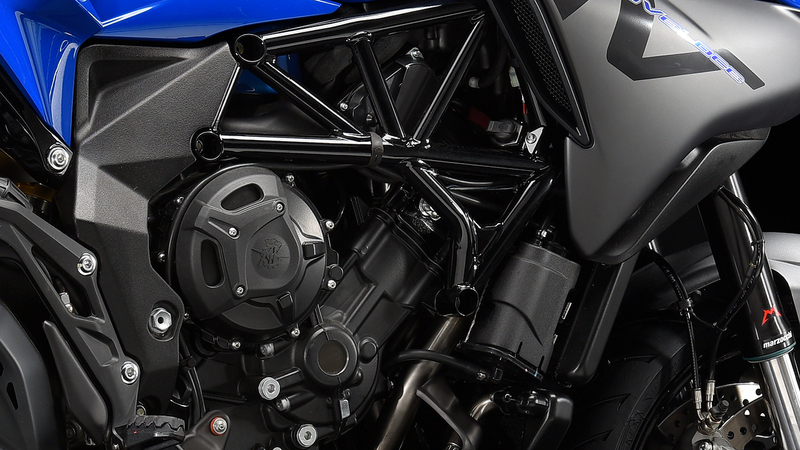 Every little detail is so unmistakably MV: from the compact side panniers, to the tank, sporty but with enough capacity to take you far away, to the new LED headlights and the hand guards with built-in indicators. Aggressive and compact, yet comfortable and always under control. 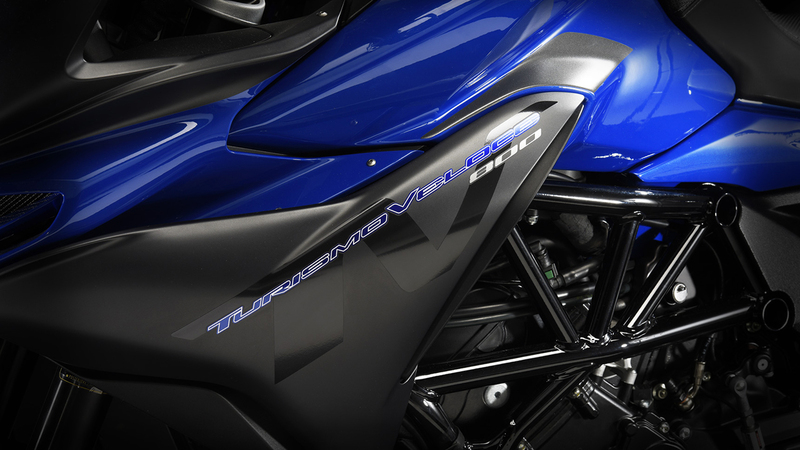 Turismo Veloce represents the perfect combination for sheer riding pleasure and endless travelling. A modern explorer with the unmistakable elegance of an MV. 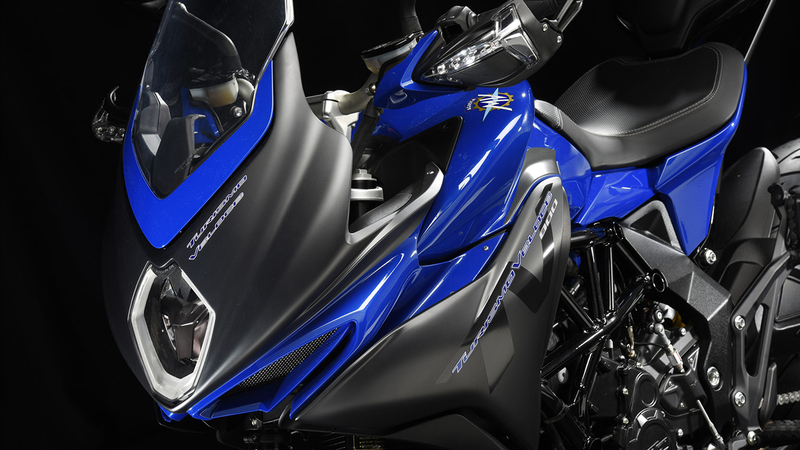 When performance and comfort meet, riding pleasure is guaranteed to last, no matter how far the destination. 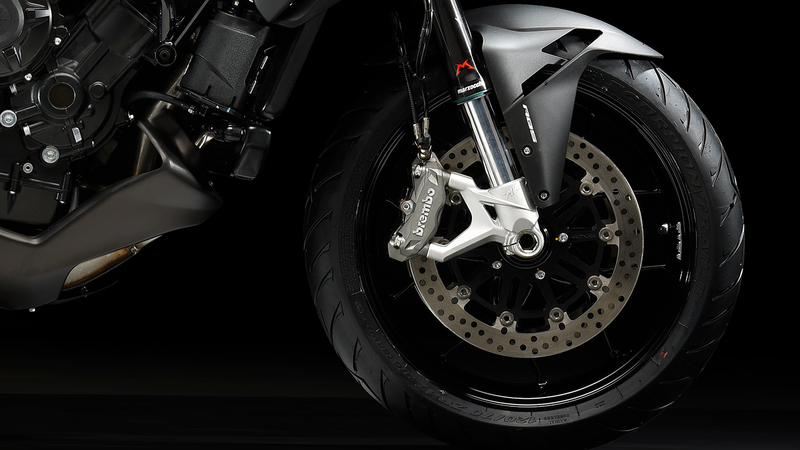 Our objective was to not compromise on MV’s racing DNA with the need to provide a comfortable ride for long journeys. “Unconfined emotions” is what this tourer with a racing soul is all about.